In the Valley of the Sun | No smoking – the playground is extremely flammable. I am planning on self-publishing a collection of my short stories soon. That way, if you like them, you can have them on your shelf or your e-reader no matter what happens to the sites currently hosting them. I’ll post updates there on the progress of the story collection. At the moment I’m collecting them in a Word file and organizing them, and I’m going to have to do some editing. Sentences I thought were cool five years ago don’t always seem so cool now. I also want to see how Surreal Darkness does without pictures, and I may try to make it into its own little novella and publish it too. No worries, I’ll keep updating the two current pen pal stories. I’ve been low on time and neural energy the last few months, but I’ve started taking CBD oil and it’s really helping with the PTSD and anxiety, and I’m beginning to feel more capable of actually doing things. Thank you to all of you who’ve stayed with me through all these years. It really means a lot. Hello, Anya. I am always glad to hear from you, however your letters arrive. They show up on my computer, but I’m not sure how they get there. Especially if your computer is no longer working. But even when it was working, what cables connected it to mine? The summer, with its hot hungry sun, has passed. The bit of the planet that I am on is now tilting the other direction. The air is cooler, the leaves are changing color, and the sun is getting its fill elsewhere now. It only comes here for an occasional snack. I am fishing on the docks, and the rat behind me is now alone. I am not sure if it ever knew any relationship secrets. I am not sure if anyone ever knows anything. I am the Seth who told Sarah the truth. Sometimes the human and I receive letters in the usual way, with the words twisting in the sky above us. Hello, Tad. You might be interested to know that your letters were a soft yellow, which the human found hard to read against the light pink and purple of the setting sun. Not that it can read the language of eldritch beings who were mostly a conglomeration of tubes with eyes attached at the ends anyway, but, you know. Humans and wanting to see things clearly. For now I will accept your protestation that you do not wish to eat the human. For now. What do sunflowers look like? The human says that they are very pretty plants and that they follow the sun through the sky. If they float through the sky, chasing after the sun, how do they get water and phosphorus and nitrogen and the other things that the grass tells me plants need to live? I am not at all surprised that my words were black and angular and neat. Pity. I was rather hoping they would be rainbow colored. We are still on the same path that we were walking when I wrote you before. I fear we are lost. Hello, Anya. I see I have two letters from you. I am sorry for taking so long to reply. I am the Seth that went through the hole in the woods, and I am also the Seth who had to come back to San Myshuno. Perhaps there is only one Seth after all. I actually did have some fun in Granite Falls. The sun grants me reprieves, now and then. Sometimes the human and I grow bored of mushrooms and bright blue liquid. We are looking at what appears to be a portal. Three glowing green lines run along the inside. The green glow pulses. Whiteness blooms in the center of the portal. It spreads until it fills the space inside the center green line. Words appear in the white, written with the bright blue liquid. The letters writhe around each other and reform into more words, more and more until the white space is completely filled, and then the white space shifts and the letters appear again. We are back in San Myshuno. 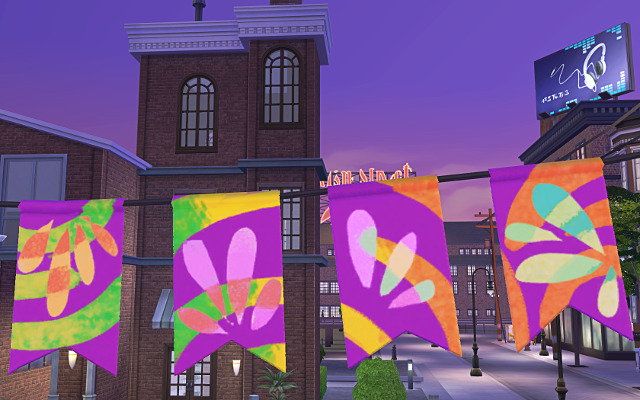 I do not think I would like these stores that remain in Windenburg. I prefer the sorts of stores that aren’t there anymore when you come back a few days later with questions about the cursed cutlery you purchased, and why all your loved ones are now zombies. But there is no one around to answer your questions, and the musty old store with the piles of junk under dim lighting and the wizened shopkeeper with the creepy laugh has been replaced by a shiny new coffee house with skinny and damp baristas who set your tall mocha frappuccino on fire as they serve it to you, saying, “This is for your bad taste in glasses!” and you walk home with a heavy heart, knowing that you have to use the flaming coffee to dispose of your loved ones, who leer at you as you enter the front yard, saliva dripping from their lolling tongues as the smell of your brain reaches their nostrils. But yeah, the Old Town Mercantile store sounds nice. I’ll check it out. There is a festival happening in the plaza outside our apartment building tonight. Sarah was adamant about going. I think she feels restless, after Granite Falls. I am also restless, and I am not sure which Seth I am.